Er fy mod wedi bod yn ymwneud â gwaith crefft am dros bum mlynedd ar hugain erbyn hyn mae'r rhan fwyaf o hynny wedi golygu cymryd y deunydd crai o bren a gwneud eitemau newydd. Over the last ten years or so of our permaculture journey in to self-imposed simplicity we have had less money at times and that has made us more creative. 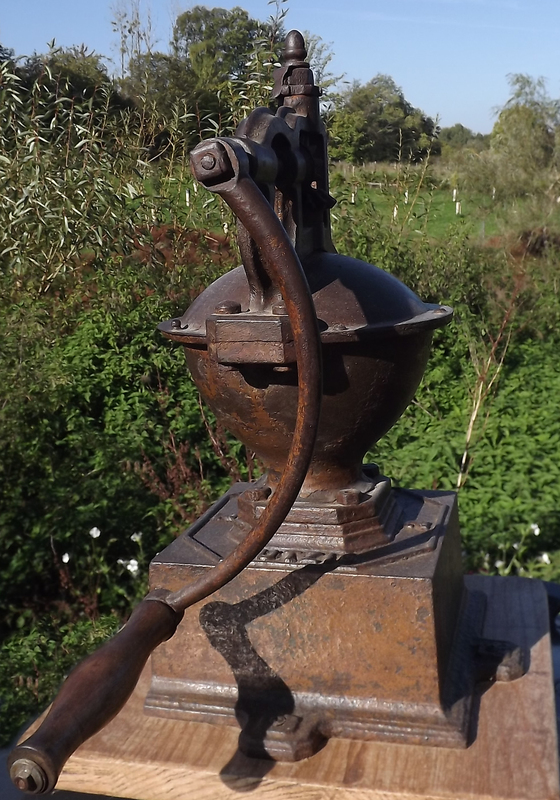 We have also come to value older hand-operated machines which are often more efficient and certainly more beautiful. 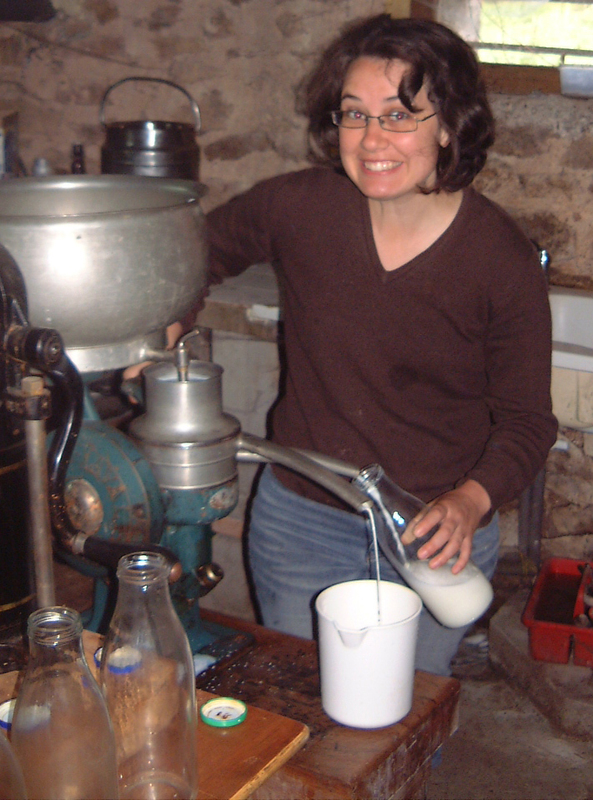 Below is a picture of our milk separator in use by Erin, skimmed milk is pouring in to the bottle and cream in to the jug. This is permanently set up in our cellar so once we have milked our cows we take the milk to the cellar for processing in to cream or cheese if we have enough surplus. Here is a more recent acquisition a coffee grinder which is older than either of us but still serviceable and beautiful. We also use it for crushing spices for culinary use. These are just a couple of the things we have that reduce our consumption both of resources and energy. 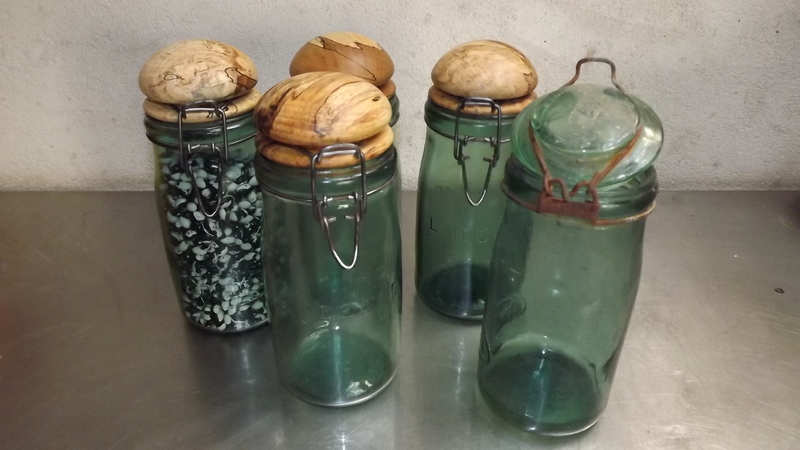 Below are some old jars we acquired that have been re-purposed. This will now introduce another category in to the blog for up-cycling with many more posts to come in that category over the coming months. Including a detailed one on how the jars above were transformed.